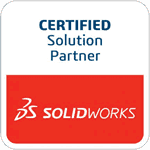 Springville, CA, January 13, 2011 ­ TEDCF Publishing, a SolidWorks Solution Partner and producer of interactive, multi-media training courses, today announced the availability of SolidWorks 2011: Advanced Parts & Assemblies. The course has over 6 hours of instruction that teach advanced topics within the part and assembly environments. David Melvin, PE, the author of the course, demonstrates many skills, including creating custom configurations, constructing custom part generators, using custom design tables, building assemblies, using mates, and much more. The course is part of TEDCF’s newest series of SolidWorks training materials. Users will benefit from the company’s most up-to-date interface features including lessons in Metric & English, adjustable playback speed, and full-screen capabilities. Adjustable playback speed ­ learn at your own pace. Progressive layout ­ step­by­step training begins with basic concepts and progressively builds to advanced skills. Simplified learning format ­ users benefit from thorough explanations that cover all the steps. Full-screen capabilities ­ see all of the details. Automatic book-marking ­ the course automatically opens to the last viewed lesson. Search Engine ­ the Memory Jogger search engine allows users to enter keywords to find specific lessons. Volume Slider ­ adjustable volume. Time Displays ­ the length of each lesson along with the current time is displayed. Learn more about the new SolidWorks 2011: Advanced Parts & Assemblies training course.